Ellen DeGeneres said she's fine. Paramedics were called to the Warner Bros. lot in Burbank, Calif., on Monday to treat Ellen DeGeneres, who was suffering from chest pains, but she appears to be fine, and even joked about it while taping her show. "What happened was last night I was having chest pains. So this morning the paramedics came to look at me. First of all, I'm fine," Ellen continued. The comedian went on to joke about the visit by the medical personnel, but did reveal she decided to put safety first after feeling the chest pains again Monday morning. "I got to work and it was still happening. I was still feeling the pains, so I was like, 'You know, I should check this out. It's better to be safe than sorry. Who doesn't want to see a fireman occasionally?'" she recounted. 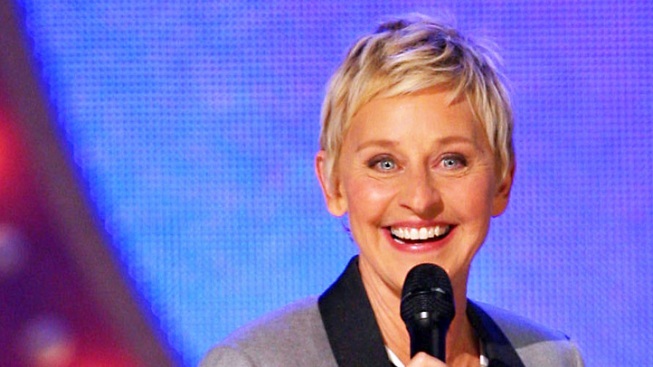 Ellen further assured her audience she is "fine," and thanked the medical personnel for coming out. "I appreciate it," she added. PLAY IT NOW: How Is Chaz Bono's 'Dancing With The Stars' Controversy Affecting Him?